An interior design student specializing in home furnishing is one of only six students in the nation to win a full scholarship to a college to further his studies on interior design. The Celia Moh Scholarship will pay college tuition for Bill Lyon – currently a student at High Point University, a school offering a special interior design major to talented students. (High Point University) Bill Lyon, a senior at High Point University, was recently selected as the recipient of the Celia Moh Scholarship, which was established to provide full tuition scholarships for students whose academic endeavors would logically lead to careers in the home furnishings industry. Lyon, who is majoring in interior design major with a minor in home furnishings, was selected along with five other students across the country attending universities with home furnishings programs. 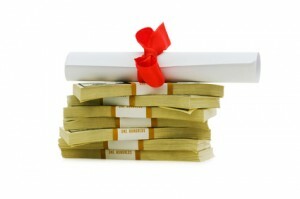 The extensive scholarship will cover the cost of full tuition, room and board, books and fees. The Celia Moh Scholarship was established in October 2001 by furniture industry entrepreneur Laurence Moh to honor his wife, Celia. It was funded by Moh’s initial gift of $3 million. The application process for the scholarship includes an extensive questionnaire, a personal essay, instructor’s recommendations, and a college transcript illustrating exceptional academic achievement. Candidates are chosen by a scholarship committee comprised of notable home furnishings industry executives. Lyon, a native of Creedmoor, N.C., is a member of the National Honor Society of Leadership and Success and the Alpha Chi National College Honor Society.